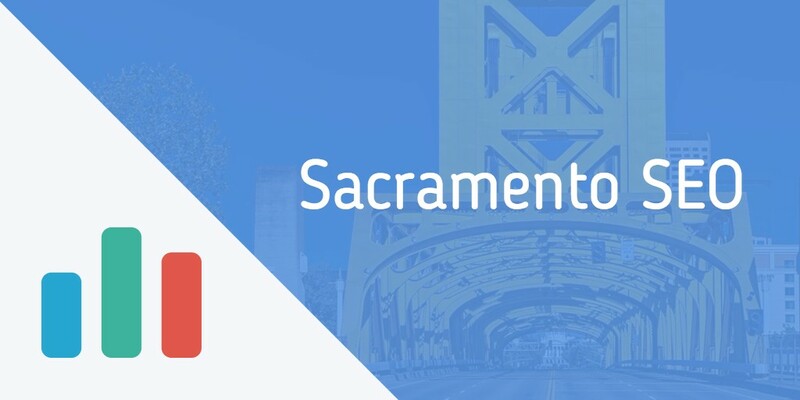 Looking for a high quality, Sacramento SEO Company that can take you to the next level? Look no further. We are a team of SEO experts with a high level knowledge white hat SEO, so you can be assured we will deliver results that aren’t subject to Google’s changing algorithms. We specialize in white hat SEO strategy, keyword research, on site optimization, off site optimization, content marketing and outreach. We take an approach to SEO that focuses on maximizing leads and overall profit for your company. Sure rankings are a big part of that, but we like to focus on qualified rankings and traffic that convert for your business. Some traffic is simply more valuable than others, and so are some keywords. There are a plethora of Sacramento SEO service agencies. So the hard part is picking the right one. Since SEO is such a diverse and complex field, it becomes a challenge to really pick the best SEO company when you don’t have a high level knowledge SEO knowledge and experience. Most business owners have a pretty good idea of what SEO is all about. But to many other’s the depth of knowledge in the SEO field and how to run an SEO campaign eludes them. So it becomes difficult to separate the wheat from the chaff. What questions do you ask? What are the right answers to those questions? Because of this language and knowledge barrier surrounding SEO, many companies end up choosing the SEO company that has the best sales person. The sad fact is there are too many wheeler and dealers trying to sell SEO services, when they really have no clue what they are doing. Sure there are a lot of other legit companies out there, there are also a lot of people that get into offering SEO services to make a quick buck. That’s why we are all about transparency and education. We are naturally extremely passionate about SEO so we love to teach potential and current clients. Not every SEO company is going to fit into these categories, as there are many flavors to an SEO company. But the following can be an over simplification on the type of SEO companies you will encounter in Sacramento, CA. Wheeler and dealers: These are the guys that are naturally good at sales. Maybe they also run a web design firm and offer SEO services on the side. But their true specialty is persuading you (selling you) on their SEO services. Oftentimes these types will have a very high turnover rate in (upset) clients. Clients will often realize that this wheeler and dealer just gave a bunch of empty promises and really didn’t know how to deliver SEO results. At the end of the day, the wheeler and dealer type is just speaking a big game, but can’t deliver. The dabblers: These are the web development first companies who saw SEO as a good opportunity to include in their service arsenal. Though there may be some web companies that also have an extensive knowledge in SEO, typically they are more of an expert with building websites rather than offering SEO. Some of these web developer SEOs are just implementing nothing more than simple on page optimization and light link building. Often times these types are not in the daily trenches of SEO strategy and don’t follow the latest changes. Cheap SEO: These are the SEO companies that offer SEO for less than $500-700/mo. The truth is, SEO is expensive in 2017. I can tell you right now, that if someone is doing your SEO for under $500/mo, they are doing very minimal SEO or they are only doing on-page SEO. The costs to do real, white hat SEO, with white hat link building is just too costly. And the fact is, that some smaller companies can’t afford to pay for a full blown SEO campaign. But if you do have a larger budget and you want to save money by getting a cheap SEO company, this can be a risky proposition. You should never skimp on SEO, since doing a $500/mo SEO campaign, there is a higher chance that the company is building cheap low quality links (like a PBN), which is very risky and should not be done. Black hat SEOs: These are the SEOs that build PBNs and enact various strategies that are against Googles terms of service. I’ll admit, that there are some very talented black hat SEOs out there, and some with extensive knowledge. It all varies. However, the core of their strategies are extremely risky. If you hire a black hat SEO to run your search engine optimization campaign, then you are running a huge risk of Google penalizing your site. It can even wipe your business completely off of Google, which can demolish a business overnight. I’ve always believed that if you are going to do black hat SEO, do it on your own site. It is immoral to do black hat SEO on a clients site because that is their livelihood and you shouldn’t be gambling with your clients sites. White hat SEOs: White hat SEO involves creating amazing content and performing a lot of outreach in an attempt to earn links. This is called white hat link building and is the preferred way to do SEO in 2017 and beyond. The reason is that Google has gotten so advanced that they can now tell the difference between low quality and bought links versus white hat links done through outreach. These are natural links you earn that will always help you and never harm you, assuming you go after the right prospects with good quality sites. For this reason, white hat SEO can be more expensive compared to the black hat SEOs and the Cheap SEO guys that just offer basic on page optimizations and content production. However, would you rather pay $500/mo and see hardly and results if any (and possible detrimental harm?) Or would you rather pay more per month and see a definite long term rise in your monthly earnings due to increased rankings? For this reason, many companies are wising up to this fact and white hat link building is becoming more and more in demand – for one simple reason. It works, and it works over the long term. There isn’t risk involved in offering value through content marketing and outreach. White Hat SEO. That’s where we come in. We specialize in white hat SEO strategy, white hat link building, advanced keyword research and topic modeling, technical and on-page SEO, and overall SEO strategy. SEO all starts with the keyword research. We have honed in on a very advanced process that results in a solid foundation of keywords we want to target on the pages and also large groups of long tail keywords for the blog and content marketing. We tie in our competitive analysis with the keyword research to see what keywords we can realistically be successful targeting. So competitive analysis is very intertwined with the keyword research process. However, there are many other parts of competitive analysis, that we can use to gain competitive insights. Technical SEO covers things like measuring indexed pages, heading tags, title tags, meta description, analyzing robots.txt file, etc. These are all the technical SEO factors that first and foremost make it easier for the search engine bots to crawl and index your content. But it also helps with, optimizing crawl budget, reducing duplicate content, helping with user experience – which all have a big indirect benefit to increasing your SEO success. Content creation is the bread and butter to any successful SEO strategy. Well, if your links are the bread, content is the butter. You aren’t going to be eating the toast without butter. Thats how important content is. Content helps set the foundation of SEO. It allows you to establish yourself as a subject authority on your given industry, which Google loves to see. That’s where the blog comes in. Blogging is one of the best way to carry out your SEO efforts, as this allows you us to rank for long tail keywords that will convert, but it also creates a lot of linkable assets we can use for outreach efforts when doing link building. If you occupy a competitive niche, chances are that content alone are not enough to outrank your competition. You need the signals of trust that links offer. The best way to get white hat links are a combination of amazing content creation + an amazing outreach team. This is one reason why SEO is very difficult to do as a one man team (i.e hiring an internal employee to do the SEO). Just the process of content and outreach alone can take a whole team to be successful. People don’t link out to your site very easily. Its going to take world class content and outreach copy to convert prospects into earning your sites some links. If you’ve ever read the Lean startup, you’ll realize that any business must pivot to achieve maximum success. SEO is no different. There aren’t going to be 2 SEO campaigns that are exact. Every company has different needs and will have a slightly different SEO strategy. Also, as the competitive landscape and the SEO landscape itself changes, it requires frequent pivoting. We will analyze what is working and pivot strategies when needed. This flexibility in an SEO campaign is utterly crucial to the success of our SEO efforts. If after analyzing your company’s needs and you decided you want the best quality, fully white-hat SEO company, you’re at the right place. However, at Social Patterns, we pride ourselves in achieving maximum success for our clients. This means we have to be diligent in working with only the companies and industries that are a good fit. It also means we can only work with a limited amount of clients, so that our quality control in our output is consistent. We also don’t work with certain industries which are riddled with spam (i.e gambling), and we want to chose to work with real companies that want to achieve results over the long term. If you are looking for overnight success (which by the way doesn’t exist in SEO), we will not be able to accommodate your expectations. If you are a company that sees the value in implementing white hat SEO strategies, contact us today so we can discuss a potential relationship that can dramatically boost your online visibility.